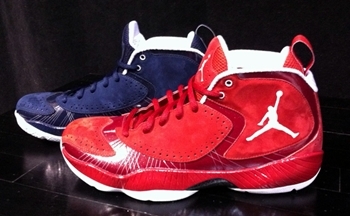 Jordan Brand officially launched their 27th signature shoe, the Air Jordan 2012, yesterday in which they also revealed several editions like the “All Star” version. As the name suggests, this edition of the Air Jordan 2012 was exclusively made for this year’s NBA All Star Game that will take place on February 26 in Orlando. Although there is no official release date yet, this exclusive edition will be coming out in one blue and one red pair similar to the color of the East All-Stars and West All-Stars team, respectively. There is no official words yet, but expect Chris Paul to wear the red one during the all-star game, while Dwyane Wade and Carmelo Anthony for the blue one, two colorways that look very impressive, making it a sure hit in the market once it is released.